← CORRIDOR OF DARKNESS NOW AVAILABLE ON AMAZON! 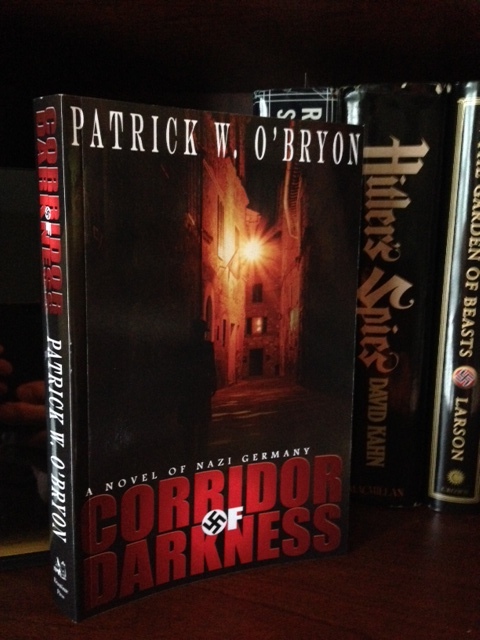 Many of you loyal friends, followers and readers have been waiting to hear that CORRIDOR OF DARKNESS: a Novel of Nazi Germany, is NOW AVAILABLE FOR YOUR KINDLE OR iPAD! http://www.createspace.com/4504054, which takes you directly to the book. And thanks to all of you who have offered such great support to my debut novel. Don’t forget to write your own review on Amazon. This entry was posted in Historical Thriller, Uncategorized and tagged 1930's Berlin, 1930's Germany, Beacon of Vengeance, Berlin, Espionage, Europe, Gestapo, Historical Novel, Hitler, National Socialism, Nazi Germany, Nazi Thriller, Nazis, Spy Tales, Suspense thriller, Third Reich, World War II. Bookmark the permalink. 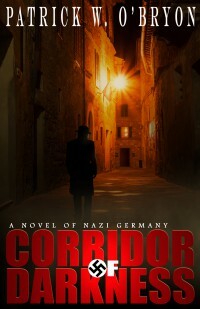 6 Responses to AND NOW FOR ALL YOU eBOOK READERS…CORRIDOR OF DARKNESS! Thanks so much for sharing the announcement, Olivia! Very pleased to hear you’re enjoying the story, Mark. Thanks for spreading the word. Loved your book. Can’t wait for Beacon of Vengeance!!! That’s great, Jacquelyn. So happy you enjoyed reading Corridor of Darkness. If you haven’t already done so, I’d love to have your review on Amazon.com. 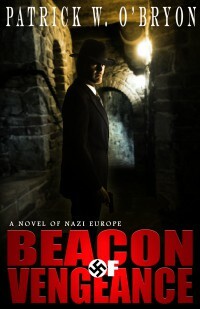 Beacon of Vengeance is ahead of schedule and should be available mid-summer. Thanks for reading!